Just 3 days to raise money for the Royal British Legion. 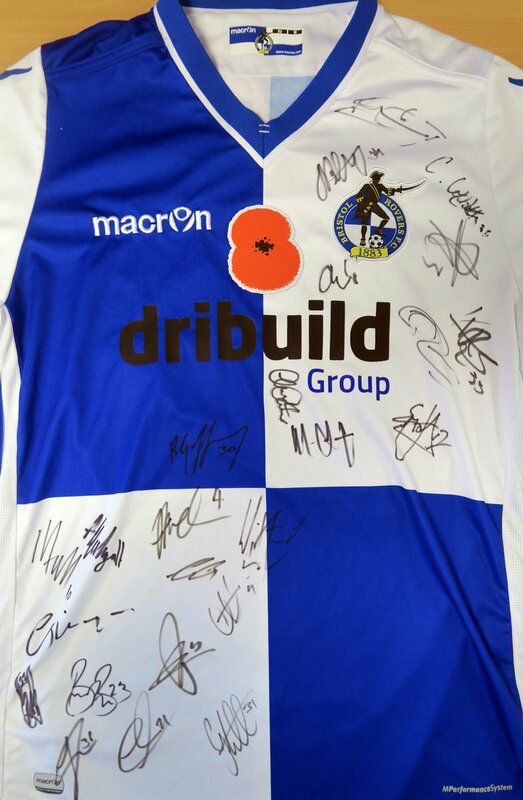 Bristol Rovers are auctioning off an exclusive match worn poppy shirt. 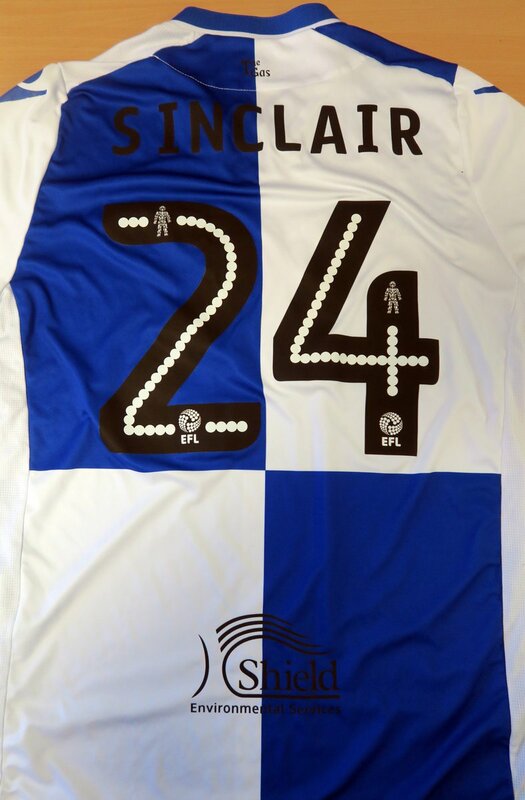 The shirt is match worn by Stuart Sinclair and features his name and number on the back of the shirt. The shirt also includes the signatures of the first team squad. Bidding started on Friday 25th November 2016 at 7:30pm. It will continue for three days and end at 7.30pm on Monday 28th November 2016. 100% of the sale of this item will benefit The Royal British Legion. The Royal British Legion provides practical help, advice and support to the Armed Forces community. They help serving members of the Armed Forces, ex-Service men and women, their carers and families.